Confession time: I don’t run 5k races. My first race, almost a decade ago, was a 5k, but I only did a handful of them after that. It turns out that 5ks are the gateway drug. Sure, some people can do 5ks and never be tempted to try anything harder, but for many people 5ks are just the beginning. Soon they are looking for something with a little more distance, something to prolong the buzz. They start seeking out 5-milers. Before long, they are experimenting with 10ks and half marathons. Alas, some lose all control and end up doing marathons. They can never go back to the simple buzz of a 5k, they need a bigger thrill. And yes, I am that kind of runner. 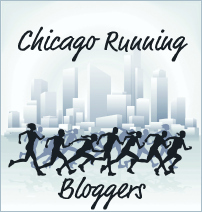 So when my friend Ilyse asked me if I wanted to do the Bucktown 5k with her, I was hesitant. First of all, it was a week before Chicago Marathon, and I needed to check with Coach Nina to see if I could get clearance. I assumed Nina would say no. Much to my surprise, Nina thought it was a great idea. In fact, she wanted me to not just run it, but race it. Race it? Seriously? Rats. However, the main reason I don’t do 5ks is because they take just as much work as a longer race, but are over in the blink of an eye. I guess part of me likes the “over in a blink of an eye” aspect, but really, I have to wonder if it is worth getting up two hours early for a race that will take a half hour. 120 minutes of sleep sacrificed for 30 minutes of running? The numbers just don’t work for me. Prepping for a 5k takes just about as long as prepping for a longer race. I still have to check the weather, figure out what to wear, dig out the gloves, find my running tights from last spring which are somewhere in the bottom of my closet, get the race belt, find my running glasses, set my alarm to get up early, and so on and so on. It adds up to hours of prep and travel time for 30 minutes of running. Sleeping in simply seems superior. Unfortunately, since I had an enthusiastic coach and an enthusiastic running partner-in-crime, I knew I had no choice but to do the race. So, reluctantly, I found myself getting up at 6AM and doing my usual pre-race routine. Fortunately, at this point in the season, the race bag is eternally packed and ready to go. What’s more, it was not a triathlon, so I only needed one sport’s worth of gear. I felt like I was truly traveling light. Ilyse and I headed to Bucktown and got to the start line right on time. Before I knew it, the countdown had begun and we were off. I immediately tucked in behind one of the Vibram-clad cheetahs and followed him as he sprung through the crowd searching for some open pavement. Needless to say, he sprinted away from me within minutes but at least I had gotten some space for myself. My next task was to find someone to pace off of. When I am left to my own devices, I am slow and lazy. I am not a leader, I am a follower, and I desperately needed someone to follow. I scanned the runners in front of me and then I found her: a girl in pink shirt with black arm warmers and a very interesting running skirt and tights combo. I placed myself behind her to discover she was hovering around 8:30-8:45. Perfect. She was just what I needed, and in that outfit I really couldn’t lose her. For over a mile, I followed her through the quiet and still-sleeping streets of Bucktown. However, just after mile 1.5 she picked up her pace to an 8 minute mile. I struggled to hang on but she pulled away from me. Before I knew it, she was gone. I scanned the crowd around me. Who had I been with for a while but hadn’t really noticed yet? My eyes fell on the back of a large guy in a gray shirt in front of me and to my left. I wanted to say “Excuse me sir, but are you running an 8:45 pace? Me too! My name is Sue, nice to meet you. Is this your first Bucktown 5k?” But I knew that would be weird. I just followed him and kept checking my watch. We were right at around 8:45. Perfect. I lagged behind him a few times but made up for it by taking better lines on the corners. At about mile 2.8 I wanted to stop and walk but I realized that would be ridiculous. If I stopped I might never find Gray Shirt Guy again, and after searching for Mr Right for so long, I knew I had to hold on to him. I kept going. And literally minutes later, it was over. I crossed at 27:05 (curse those last 6 seconds! ), a reasonably fast time for a fairly slow runner. In fact, for me that was smokin’ fast, much faster than my first 5k all those years ago, where (to put in charitably) I was in a much younger age group. And I have to confess that I really enjoyed it. Although I could have lived with a later start time (why not start at noon, huh? ), I was done by 9 AM and I had a nice fleece vest from RAM Racing (the event organizers) as my reward. So, in spite of my initial reluctance, I think that I may be going back to my 5k roots more often. Although I know 5ks are the gateway drug, perhaps it is time to pick up the habit again. After all, I have moved on to the harder stuff, so the damage is done now, right? And who knows, maybe someday this arthritic bulldog will morph into a Vibram-wearing cheetah. « What a Difference a Year Makes. Or Does It? Ha ha! LOVE your race report! You always make me smile. Good job too! Wish I could run that fast! Thanks Jen! I only run fast like that when I have someone to chase – or when I have broken the law but we don’t like to talk about that. I dislike 5ks too! I love your race strategy. Next time, you’ll get that sub-27. Congrats, Sue!! I am with you on the start time, in fact, I’d rather it be at 6 pm myself. We are not all morning people, only the weird “jock, the pretty boy, the homecoming king” types are. I admit it, I love the 5k. Maybe because one of my boyhood running routes was 3 miles and one of the courses my high school track buddy and I ran in the summer was also this awesome distance. I do think the distance helps with speed for improvement with longer distances, but it takes a lot of guts to run it hard and to your physical limit. Thanks Richard, I am glad to hear not runner is a morning person. And after my run today, perhaps I will become a 5k lover like you, who knows? A couple of my friends ran the Bucktown 5K and while waiting for them I decided to put together a time-lapse video. See if you can find yourself in here. Love the video! Thanks for sharing. Didn’t see myself the first time around, but I will keep looking.